A hospital setting provides a large number of services by many doctors. Hospitals have both inpatient and outpatient care, have staff available 24 hours a day, and have access to emergency services and a wide variety of technology and equipment. The cost of surgery is typically more expensive in a hospital setting because of these features. Dr. Davis chooses to perform his surgeries at the Skyway Surgery Center. He is a partial owner and shares the building with a handful of other skilled surgeons. The surgery center is much smaller than a hospital, does only outpatient procedures, and only has the equipment and technology it needs and uses; thus the cost of procedures is much smaller than the same procedure would be at a regular hospital. The surgery center also has no patient bedrooms (another cost-saving feature!). Instead, patients have private areas separated by curtains where they prepare for surgery and recuperate afterward. The setting is small and intimate, and staff members work closely together instead of being spread across a large hospital making it easier and more convenient to take care of you. The Skyway Surgery Center performs about 3,000 procedures every year and is a member of the California Ambulatory Surgery Association. 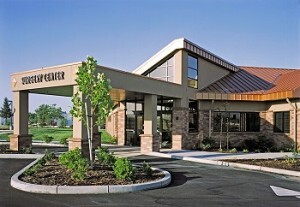 Dr. Davis enjoys this smaller location and has been working with his surgery team for many years. ‹ How is Endometriosis Diagnosed?